Tellabs has updated its SmartCore line with the 9200 series, a content-aware IP edge routing platform that is designed to deliver significant scalability, flexibility and intelligence for your next-gen network. The updates are focused on core increases to customer experience and running new revenue-generation services for operators and carriers. Designed for mobile and wireline networks, the 9200 series aims to be easy to use and help you adjust your business and network as customer needs and demands change, plus adapt to changes in how you can monetize your network. New and used Tellabs SmartCore 9200 units run an updated Tellabs GeniOS operating system that is built to help you support third-party applications and integrations, such as your security programs, without the need to roll a truck and install any additional hardware. You’re working with a top-tier OS designed to simplify integrations and even support new modules of your own, with Tellabs saying they focus on making it easier for you to add new revenue-generating services into your network. It’s all run by the Tellabs Intelligent Network Manager, an integrated platform designed to make the whole operation a bit more efficient and cost-effective. For network owners and operators like you, there’s an added benefit. 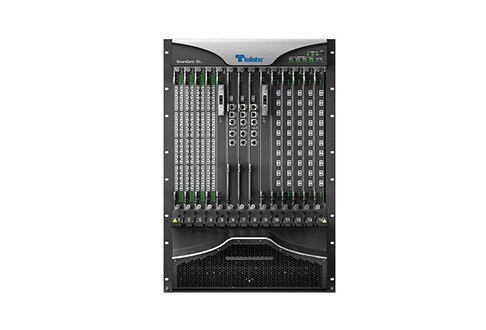 You can choose a new, used or refurbished Tellabs SmartCore 9200 model from us at Worldwide Supply and save significantly more compared to OEM costs without compromising on quality or capability. We simply get the best equipment from any and every OEM, run full diagnostics on any used items and then deliver them to our customers. It’s the best way to get the right deal on the used Tellabs SmartCore 9200 your network needs for growth.